On April 7th, 2014 a team of security researchers announced the discovery of a potential security flaw affecting the internet. 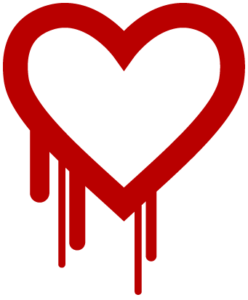 The Heartbleed Bug is a serious vulnerability in the popular OpenSSL cryptographic software library. This weakness allows stealing the information protected, under normal conditions, by the SSL/TLS encryption used to secure the Internet. Thankfully our servers are unaffected by this flaw. We have tested our servers and also contacted RapidSLL, the company that issued our security certificate, and verified that Divesummit.com is not vulnerable to the Heartbleed attack. Below see the test results for our servers. You can run this test yourself for any website you visit. Rest assured, Divesummit.com remains committed to securing the confidential data of our users. Time may be running out in the search for the missing Malaysian flight MH370 and the U.S. Navy is stepping up operations in assisting the world in locating the missing airliner. The U.S. Navy is deploying the Towed Pinger Locator or TPL-25 to this remote southern part of the Indian Ocean. It is a 29kg system which “meets the Navy’s requirement for locating emergency relocation pingers on downed Navy and commercial aircraft down to a maximum depth of 20,000 feet anywhere in the world”, according to info on the official Navy website. Its being deployed to the region in an increased effort to locate the faint pains that the black box should be emitting. The battery in the black box is designed to send these locating pings for 30 days. Being that the airliner disappeared 23 days ago time is running out to detect the signal. This area of open ocean is especially difficult to search because of its remoteness. Also with the lack of landmass which normally slows down the swirling waters of the globe debris can easily drift vast distances. Suunto DX voted best dive computerSuunto was founded in 1936 by Tuomas Vohlonen, a Finnish orienteer and inventor of the liquid-filled field compass. 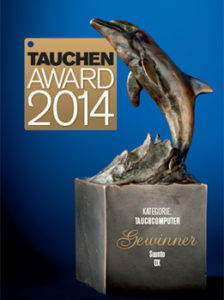 Congratulations to Suunto for earning once again a Tauchen award for best dive computer. On January 23 in Nachtresidenz, Düsseldorf the German diving magazine Tauchen bestowed this honor on Suunto’s DX dive computer. Suunto is known for their state of the art dive computers and this is there second win of this award in as many years. Last month David Malvestuto, 34, and Warren Murray, 56, went diving off Bluefish Cove in Carmel, Calif., They had a rare encounter with an octopus who tried to steal their camera equipment! This kind of encounter is rare because octopus generally avoid humans or are just not interested in them. The divers captured this event for all the world to see. We think the famous author of 20,000 leagues under the sea, Jules Verne, would be very envious of these guys! Check it out! 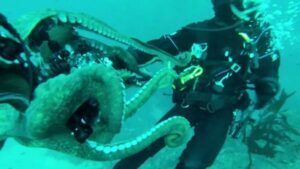 SEE IT: California scuba divers interact with octopus who tries to take cameraThe first rule of David Malvestuto and Warren Murray’s scuba diving group is if you don’t get it on tape it didn’t happen. So when Murray got into a tussle with an eight-armed opponent over his camera, he knew he wouldn’t let it go. Or else no one would believe him. Use of iPhones as Dive Computers Could Become New Norm. 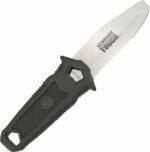 Here is another purpose for your favorite handheld device. 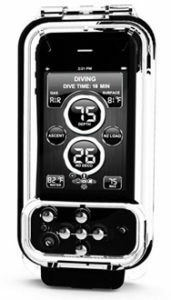 An app that functions with a waterproof case can now turn your smartphone into a full fledged dive computer. There is something so cool about the idea of bringing an iPhone 50 feet down with you. Some of the features available is the ability to take HD video underwater, use your flash light underwater, take photos and it will record the exact depth and location of the photos. My only question would be how easy would it be to press the buttons underwater and is it clunky at all with gloves on? 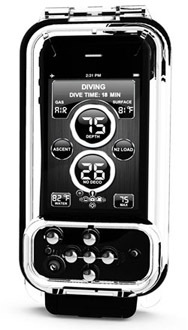 I believe there’s always going to be a place for watch-style dive computers but this is a great addition to the dive computer lineup and I am very excited to see what the future holds as smart phones evolve. Android lovers will be happy to hear that a version of their case will be available soon. Lionfish Now Being Seen as Far North as Rhode Island. Scientists theorize that Lionfish first became introduced in the Atlantic ocean by accident. Reproducing rapidly in the waters off Florida and the Caribbean islands. Their numbers have grown dramatically because they have no natural predators in these waters. Lionfish have been spotted as far north as Rhode Island. Although they do not survive long here in the colder waters. If these Lionfish got a foot hold it could be devastating to the New England fishing industry. A large amount of resources is currently being spent to educate people about Lionfish and to provide incentives for scuba divers to hunt and capture them in non native waters. Some see a solution in the fact that the fish are edible and in fact quite delicious. Groups are urging that the best way to combat Lionfish is to create a market for their meat. 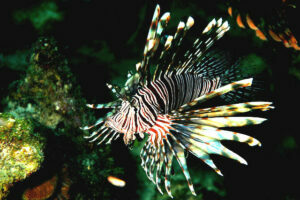 Lionfish don’t have a roar but they do have poisonous fins making them harder to capture by anyone untrained. Although rarely fatal they can make you sick. Divers are encouraged to learn how to handle them before you attempt to capture any. Download the Seafood Watch app for your Smartphone to make better decisions on what seafood to eat.